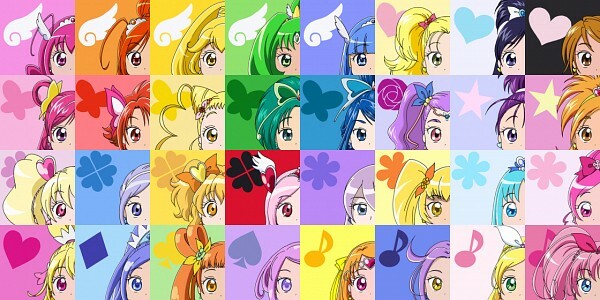 All Stars. . Wallpaper and background images in the pretty cure club tagged: pretty cure girls all stars. I love it how it shows all the PRETTY CURE !!!!!!!!!!!!!!!!!!! !